We have a brand new set of mix and match cubes to share with you. 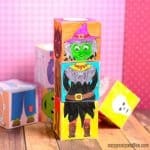 Let’s have some fun with mixing and matching with this set of Printable Monsters Mix and Match Cubes. 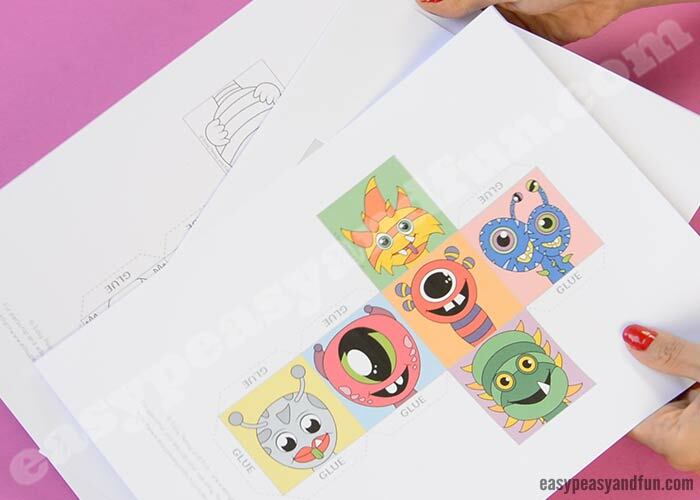 Kids can color their heads, bodies, and feet with their favorite colors or just print and play with the pre-colored monster blocks. 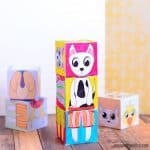 We do love our mix and match cubes series, as all of the blocks can be mixed and matched together, so if you already printed our animals mix and match cubes, these monster paper toys will add a ton more fun combinations. 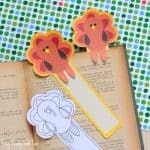 If your kids are afraid of monster, we sure hope these printable blocks will help them get rid of monsters under the bed. Monsters can be your kid’s friends and that’s why we’ve designed these cubes, a fun paper toy to help cope or overcome any fear of monsters. 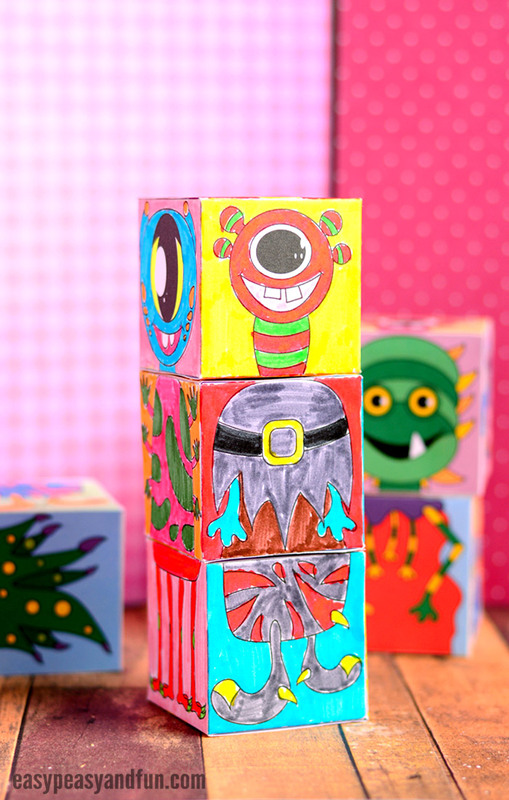 Each cube has 6 designs (6 heads, 6 bodies, and 6 different monster feet), so there are many monsterous combinations your kids can create. Ready? Let’s do some mixing and matching. 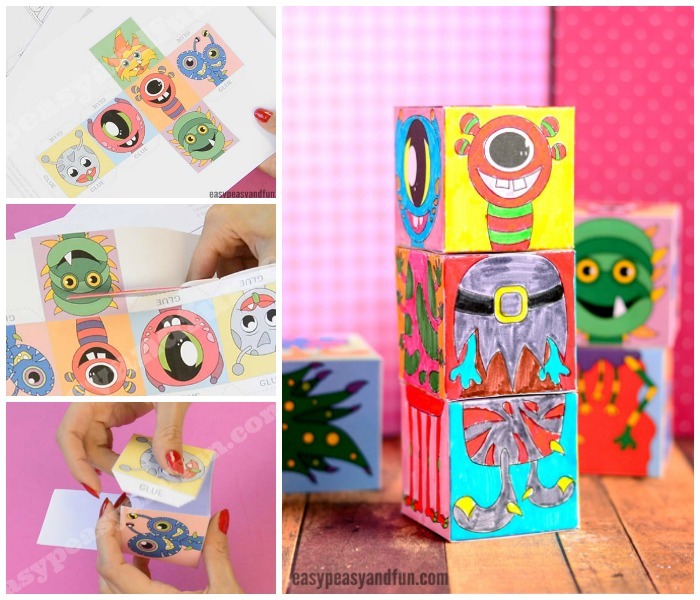 our printable monsters mix and match cubes template (you can find the template at the end of this tutorial). Remember, there is no “right or wrongs” when it comes to coloring the monsters. For starters, choose your preferred version and print it out (grab it at the end of this step-by-step tutorial). 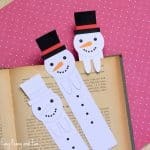 If you don’t have a heavier paper at hand, simply glue two regular ones together to make the blocks stronger. 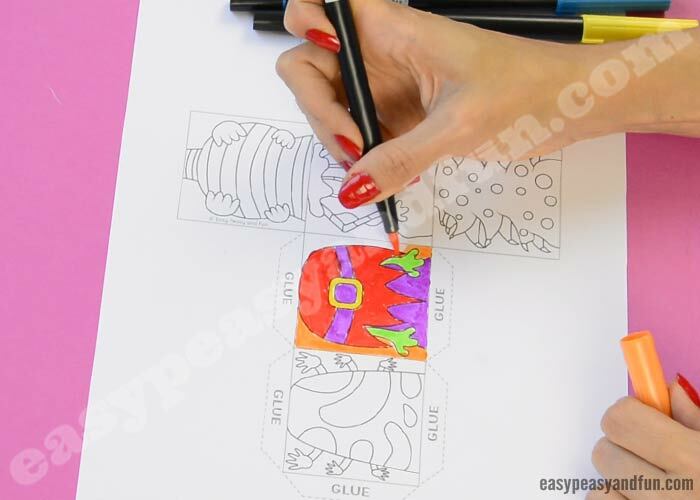 If you want to color the blocks, print out the printer-friendly version and enjoy coloring the monster parts. After you’ve colored all of the monsters, it’s cutting time. We used a craft stick to create some nice crisp folds. 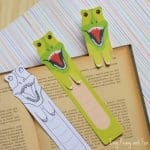 Continue making them along the flaps as well. After you’ve managed to fold all of the lines, it’s time to put the cube together. There are a few different ways on how to put it together. We decided to go with the procedure where we firstly glue all of the parts that have flaps. We left one of the sides (without the flaps) for the end – closing the monster cube makes it much easier this way. Repeat the procedure with all other cubes and give the glue a bit of time to dry after you’re done. The fun can begin! 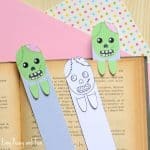 Mix and match your monsters and enjoy! 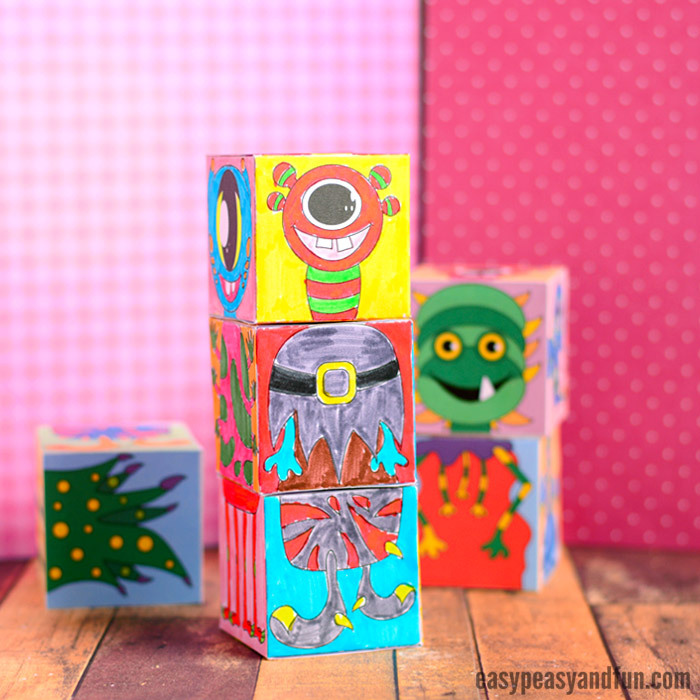 We hope you and your kids will enjoy playing with these cubes – do snap a photo and post it on IG using the @easypeasyandfun or #easypeasyandfun as we would love to see your colorful creations.